To meet the needs of a diverse customer base most craftsmen from Jewellers to Whiskey makers produce a range of products to meet demand. But whisper in their ear that you’re after that special something and you may just be ushered into a small room to lay eyes on their most prized product. 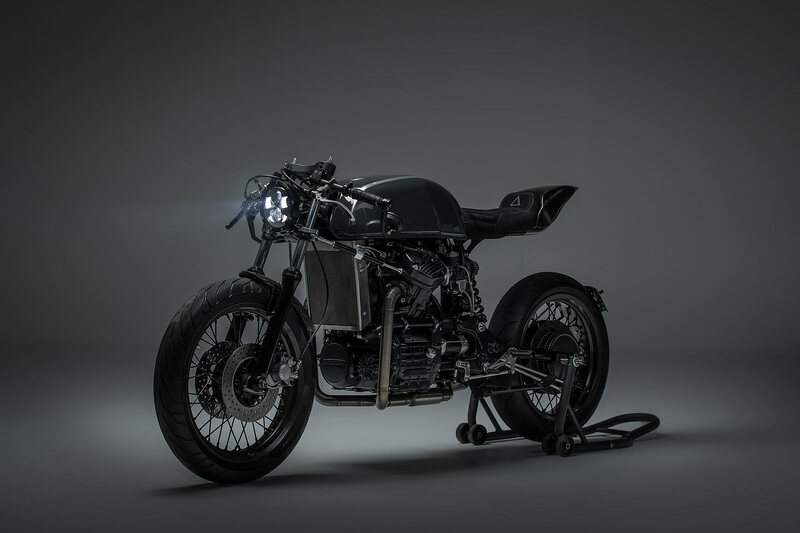 For Australia’s Purpose Built Moto they’ve created a Signature Series to delineate their uncompromising world-class builds from their other services often built to suit a budget or a client’s specific needs. Enter Signature Series build No. 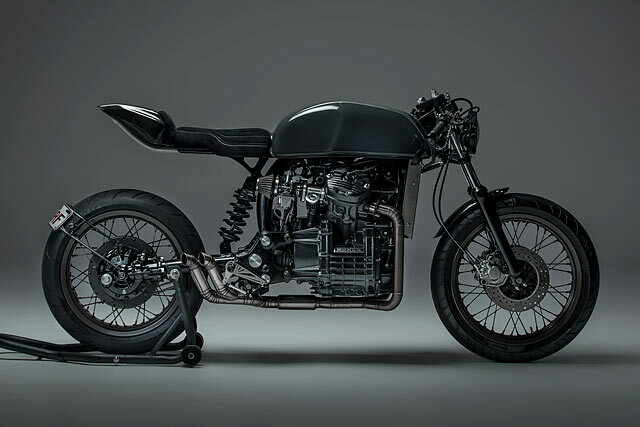 1, head honcho Tom Gilroy’s vision of the ultimate Honda CX500 cafe and its nothing short of a masterpiece. “This marks a motorcycle that speaks to my ideas and skill set being pushed to the extent of my ability at the time,” explains Tom. 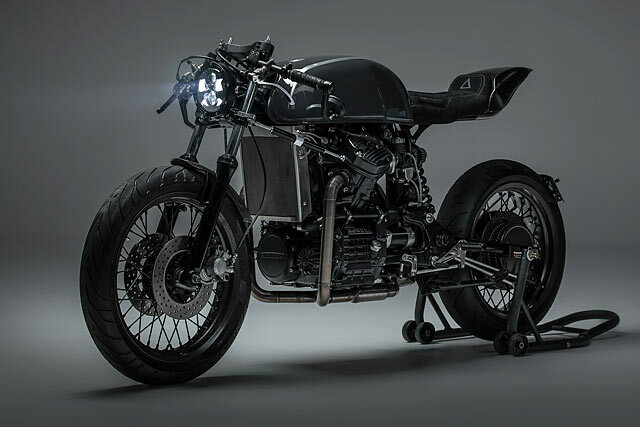 Beginning in late 2016, the 1981 CX500 has only recently been finished and is a testament to his creativity and skill. With no time to waste Tom wanted to set the stance of the bike from the beginning and that meant a change of wheels. The Honda ‘love ’em or hate ’em’ Comstars are gone with the stock hubs fitted with rings. These allow for a set of Excel Alloy rims to be laced with stainless steel spokes for reduced unsprung weight. While the overall diameter comes down an inch at each end, with the rear a 17’ x 4.5 and the front 18 x 2.25 wrapped in Pirelli Angel GT tyres. The front forks were then rebuilt to suit the total suspension package with the fitment of preload adjuster caps. A stunning custom upper triple clamp has been machined that even sports a subtle company logo. 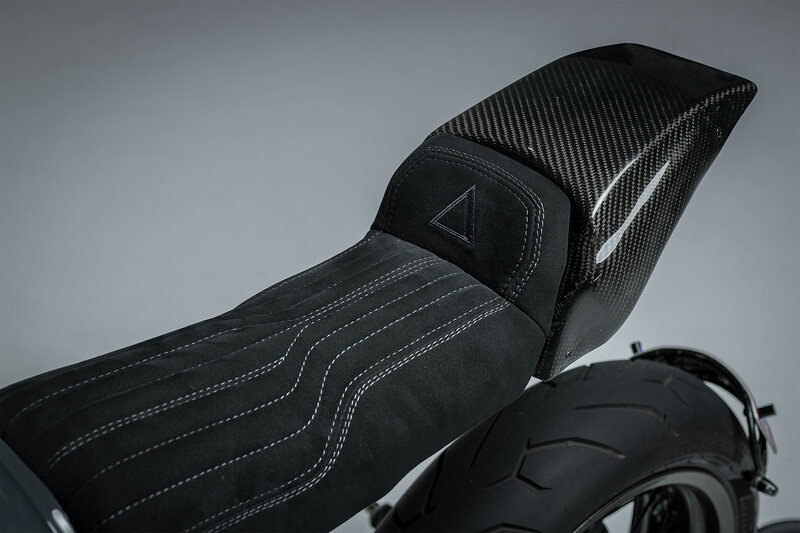 While down the fork legs is a stabiliser that also acts as the mounting point for the handmade carbon fibre guard. “However due to the drastically different riding position and the tucked clip-on bars a steering damper was added to reduce the chances of head shake when pointing this thing around a less than perfect mountain corner,” explains Tom. 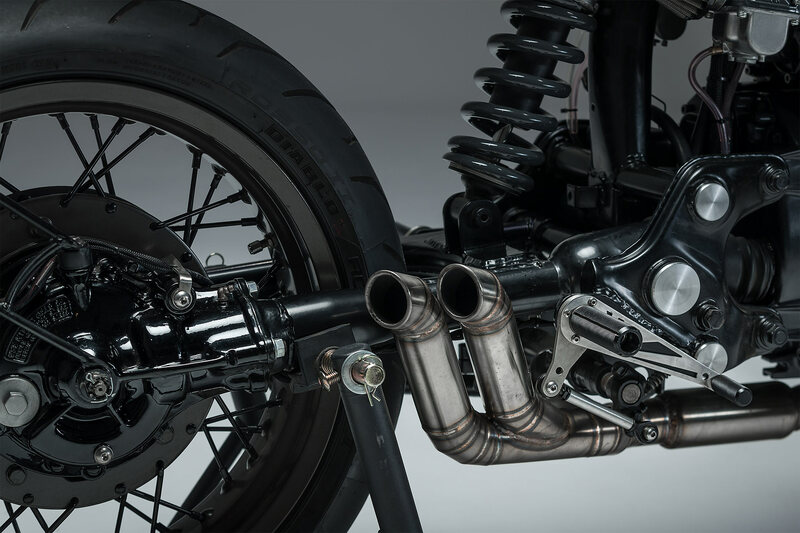 Allowing the damper to fit are a pair of stainless mounts that blend in with the overall aesthetic of the Honda while remaining purposeful in design. 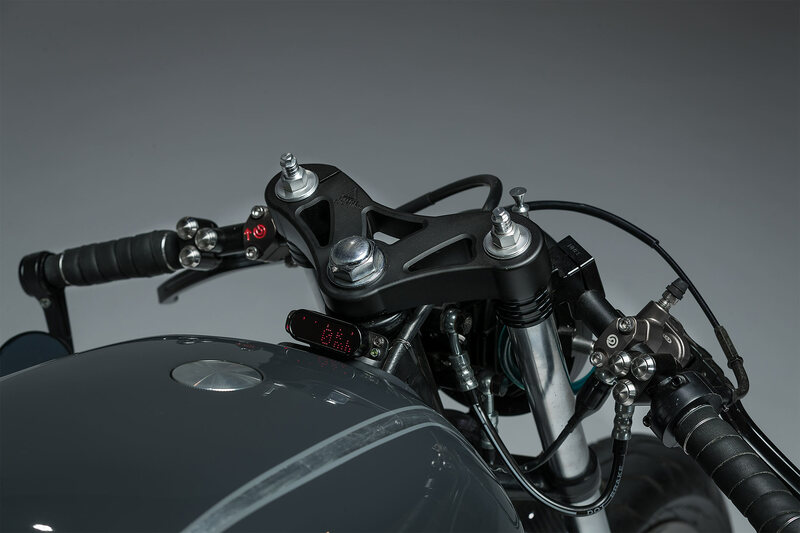 Just as clever are the brilliant rearsets mounted further back than stock and utilising a cleverly engineered linkage to deal with the CX’s strange gear shift. While back up on the forks the new clamp does away with upright bars and a set of clip-ons are mounted on the stanchions giving the CX that racer like position. A set of Brembo radial levers installed and Tom had the bare bones of one hell of a rolling chassis. “With the racer’s wheels and tyres on and the front suspension level set I cut the rear subframe from the backbone and behind the footpegs. Removing it to make way for the monoshock conversion. The CX500 doesn’t speak to me for a classically styled bike, I wanted to re-think the way the tail was made so I set out to specifically not hoop the rear,” says Tom, careful not to follow convention. 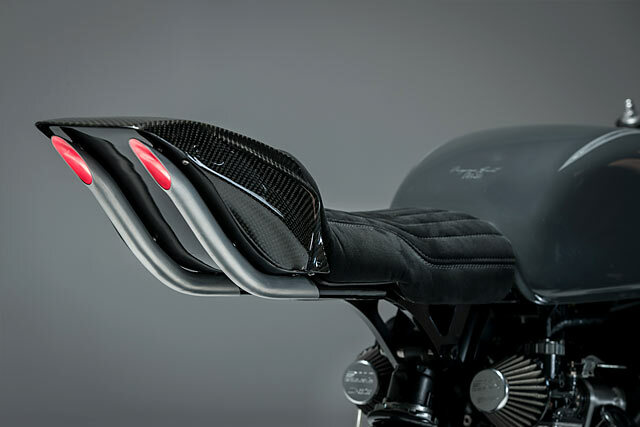 What he came up with is a set of upswept aluminum tubes that at first look could be mistaken for an under seat exhaust. With the open ends fitted with tail lights looking like they spit flames and creating the perfect structure with which to support the rear cowl. Made from hand laid carbon fibre and wanting to create smooth lines to offset some of the sharp edges Tom had set himself no easy task. “Mounting a block of foam on the freshly bent and welded tubes I set out cutting and sanding the cowl into shape. Then I fucked it up, threw it out, and started again. Second time round I had a little psychedelic help and it took shape in one session with an almost superbike inspired set of lines.” Its all very Jimi Hendrix meets Pierre Terblanche but boy does it work and it sounds to us like Tom threw himself headfirst into the artistic process. “Often overlooked on a Honda CX mod is the tilted back tank. Taking time to make sure the stance of the bike was right from front to back, the tank was dropped 18mm on the front and mounted slightly raised at the rear on the new subframe.” The single colour with just the most minimalist of pinstriping and graphics work shows off the level of craftsmanship in the entire build, not needing an insane paint job to steal the show. While the beautifully stitched seat fills the same brief, exquisite in execution and the perfect perch for a hell raising ride. Lighting the way the headlight up front is a 5.75” Flashpoint LED providing the perfect balance to the custom lights at the rear. 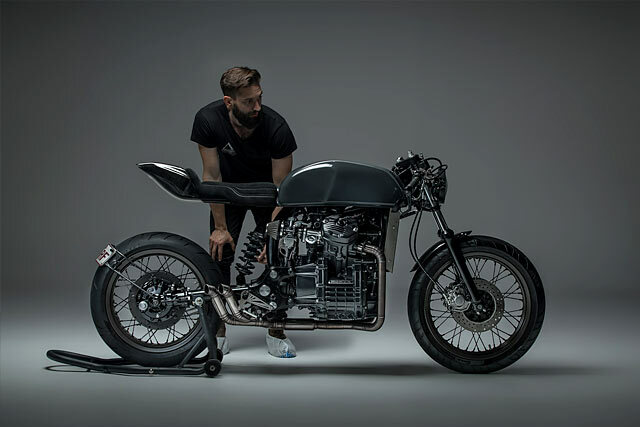 “Once the major fabrication was finished the Honda twin motor was removed, stripped and vapour blasted before being rebuilt by my mate Jamie Webster,” says Tom. The piece de resistance is undoubtedly the CAD designed and hand fabricated 2-1-2 exhaust system that emits the most incredible sound! To match it on the intake side a new set of carbs are matched up to modified intakes to clear the new subframe. And proving perfection means scouring the globe Tom had DNA performance filters in Greece make a set of pods with customised form and function just for this particular CX. The lithium battery is stored under the rear cowl with PBM Hollow-tip indicators keeping things legal. Purpose Built Moto switches are a piece of art joining hand wrapped black Nubuck leather grips on the bars. 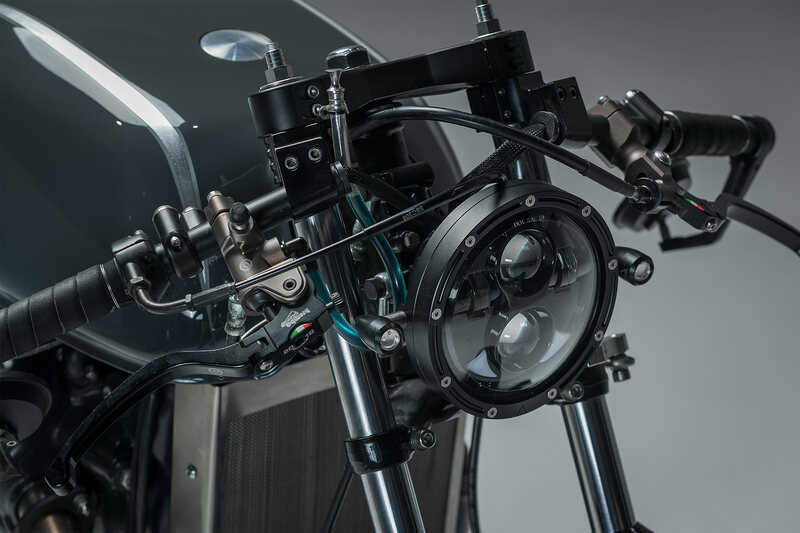 “Hearing the freshly rebuilt motor breathe for the first time through the 2-1-2 exhaust set up was phenomenal, even on idle the bike snarls at you like a caged animal. Getting it on the road seemed surreal, never had I gone in so deep on a custom motorcycle so the first ride was somewhat of a graduation,” relives Tom. 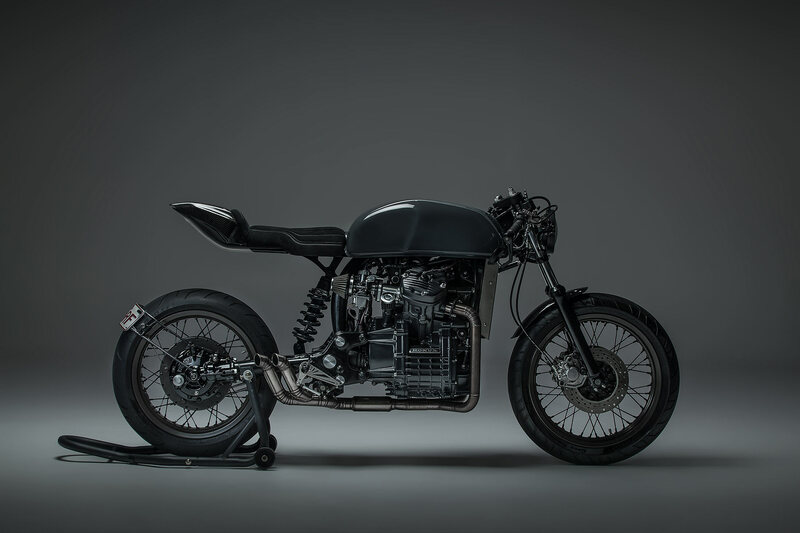 And with this incredible CX500 cafe, he’s placed Purpose Built Moto on the world map and we can only wait with baited breath for No. 2 to be revealed.